Hi, I am Eileen, aka Happy Scrap Arts, in this blog series I'm going to tell you about scrapping planners. Bullet journals are very popular these days. Most people do it in a little note book but what if you are not so creative? Or you don't have the time and place to do it all yourself? 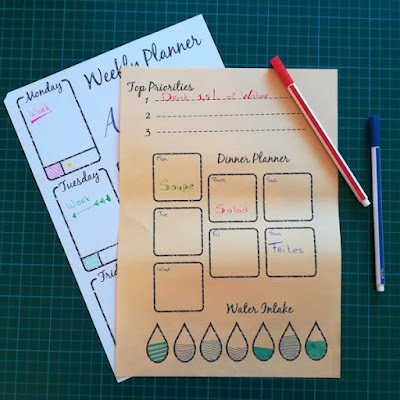 Then maybe you can try to create the pages for your journal with some digital elements and then print them to fill in. 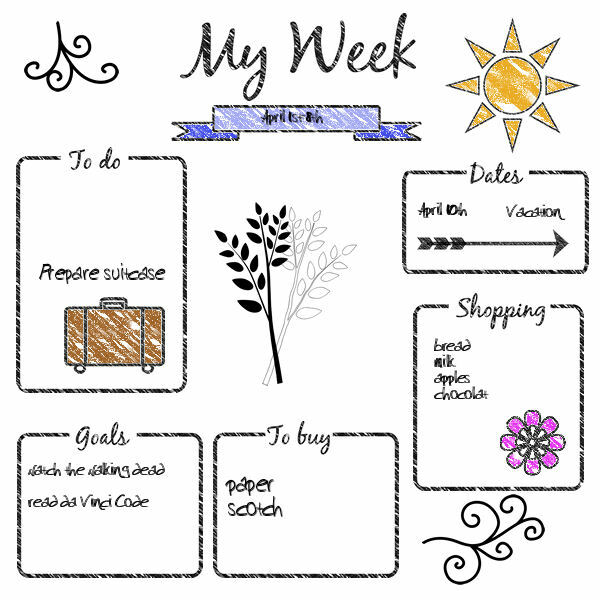 I'm going to write about a weekly planner this time. 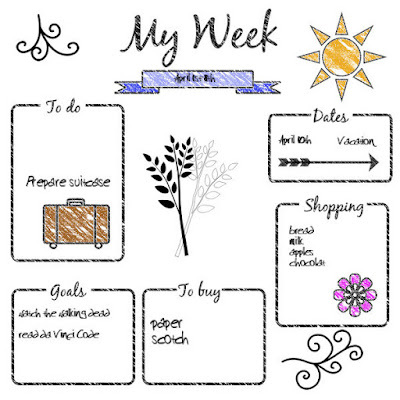 You can get some scrapbooking supplies in my store here to start with. There is a little freebie and I made a matching kit that you can get 30% off in my store too. You can get the freebie here. Choose the size of your layout (page). 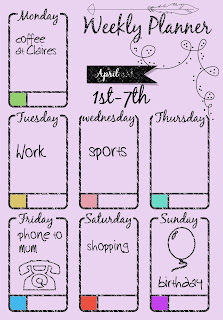 I used Portrait, that might be the best choice for a weekly planner. But with the kit I made you can choose any size you would like as I also included the elements separately in .png. So you can paste it on any background you want. You will need a background: a color, texture, decorated...think about the things you are putting in there and let that inspire you for a color, or think about the season you are in. 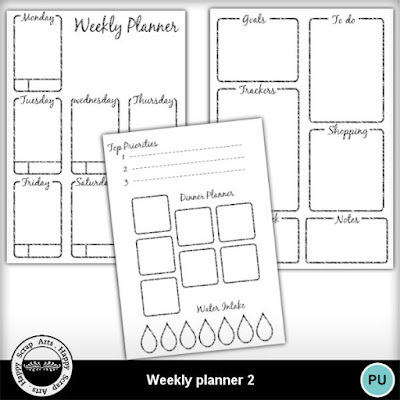 Now you can paste the planner on the background. You will need to decide what you want to put on your pages. Take a look at my examples for some inspiration. Of course you can create this yourself but you can also use the items of my kit. 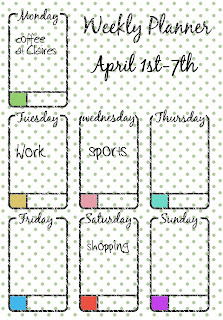 I made weekly planners with days and planners for other information. 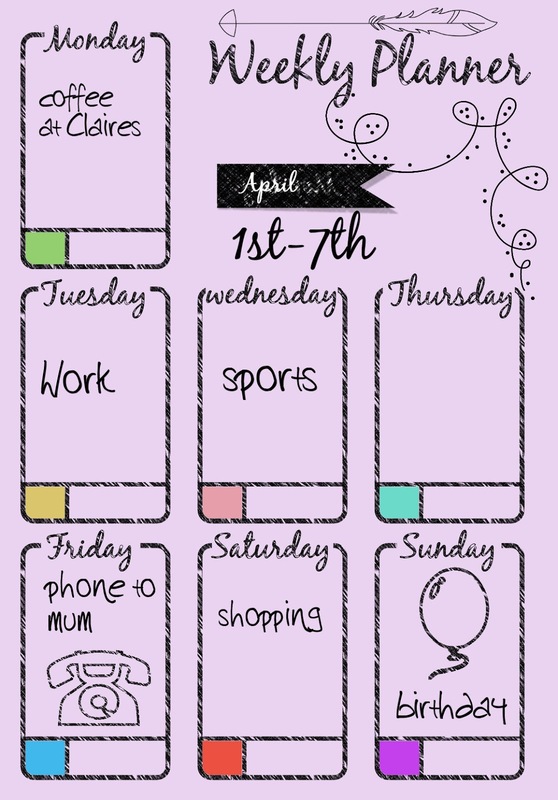 In my freebie you will get a weekly planner with some elements to use as you wish. Decoration: if you are not so creative you might want to decorate the page before printing. Choose some elements from the kit or from other kits. Like birthdays, they are fun to decorate, I have some beautiful birthday kits in store to decorate those events. 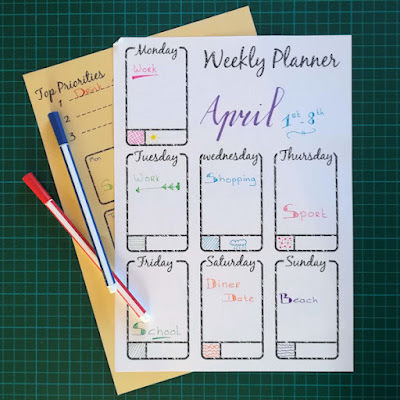 After decorating you can still choose; print your pages and fill in you calendar by writing down tasks, events etc.... or continue a digital page. You can also use scrap kits to decorate your planners. 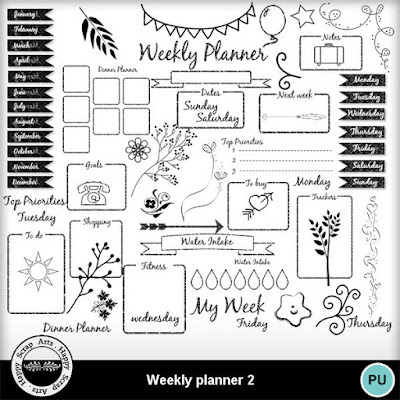 I do have a lot of kits in store, they will do great on a planner. 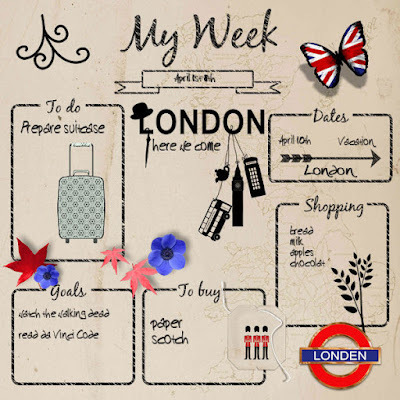 I used my kit Travel to...England for this planner. A great way to get in the mood for the trip the week after. 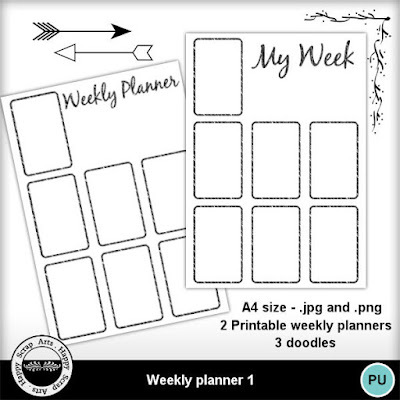 If you are making your weekly planner I would love to see what you made. You can show your page on facebook and tag me @happy.scrapart. Or post your page in Happy's room, a place on the forum where you can join me for some fun challenges. 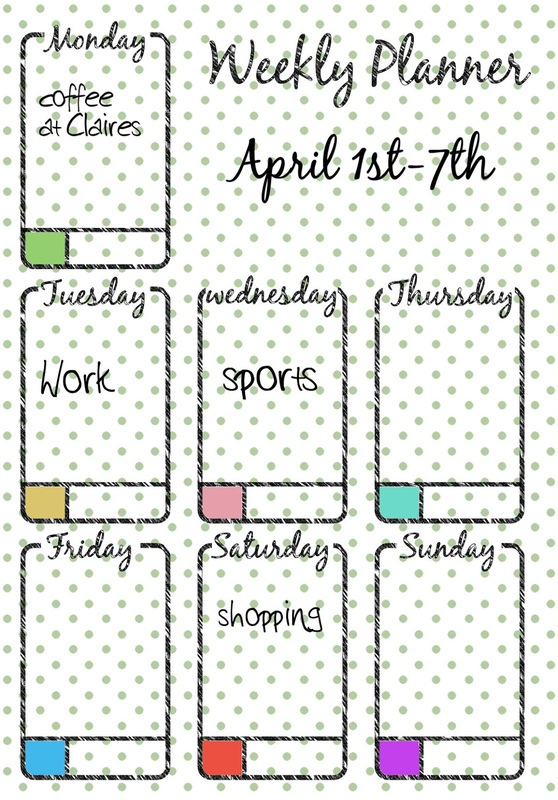 There will be a special planner challenge during April. It will start today. There is also a mask challenge each month with a free mask for you to play with.